UPDATE! I’ve confirmed that this course is OPEN TO THE PUBLIC. You don’t need the prerequisite courses and you don’t need to be a student at Victoria University (or even a student), they will accept a range of backgrounds and experiences. You just might want to click through our free online course ahead of time. ALL WELCOME! 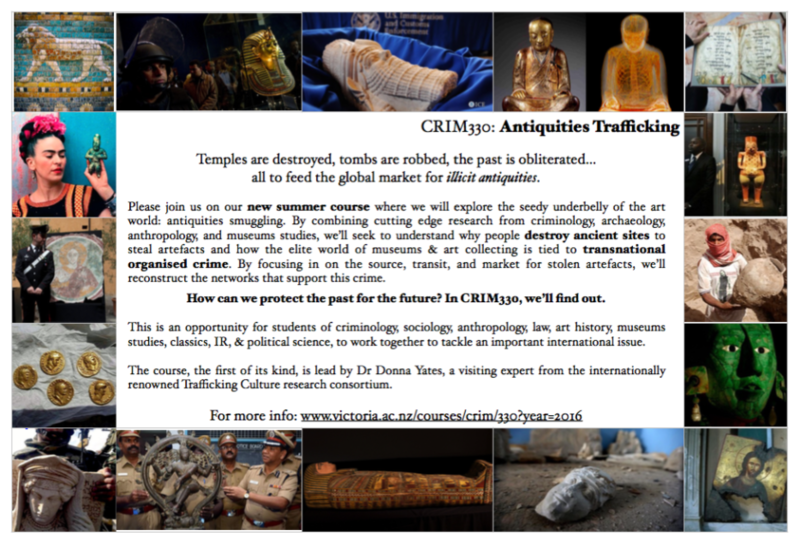 Taught at an advanced undergrad level, we will study antiquities trafficking networks from source to market using a range of tools from Criminology, Archaeology, Heritage Studies, Law, Anthropology, and pretty much everything else. It should be interesting and fun. Special guest star Prof. Simon Mackenzie will be making some appearances. 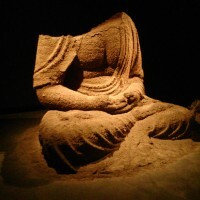 All in all this is a great way for someone interested in art and antiquities crime topics to test the waters before a more advanced degree, or someone working in the general sector to add a bit of specific knowledge to their tool kit. I am, of course, around for one-on-one advice, tuition, office hours stuff, and the works. The more the merrier! If you are already a student at Vic, sign up! If you are a student elsewhere in New Zealand (or I suppose Australia if you feel like a summer stint in Wellington), or are just into the topic, sign up! We’re pretty sure non-Victoria University students are welcome on the course, as well as motivated non-students. Check with me if you’re having any sign up issues.